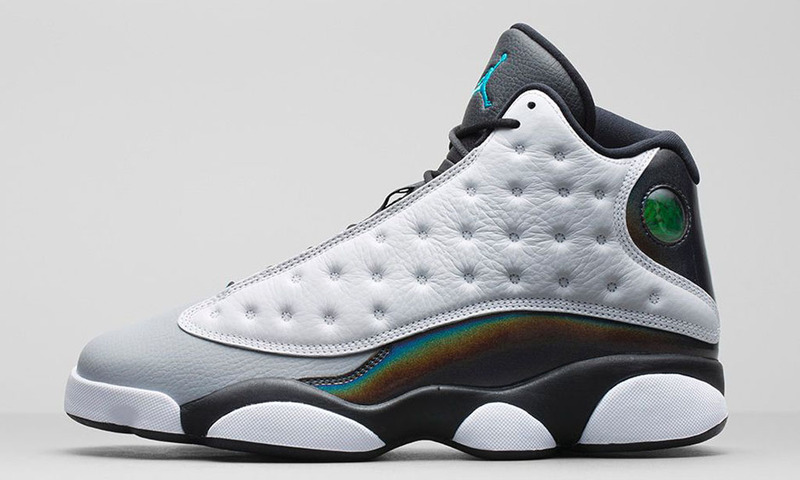 Our best look yet at the first general release colorway of the Air Jordan 13 Retro of the holiday season. This pair comes in a white, tropical teal, black and wolf grey. 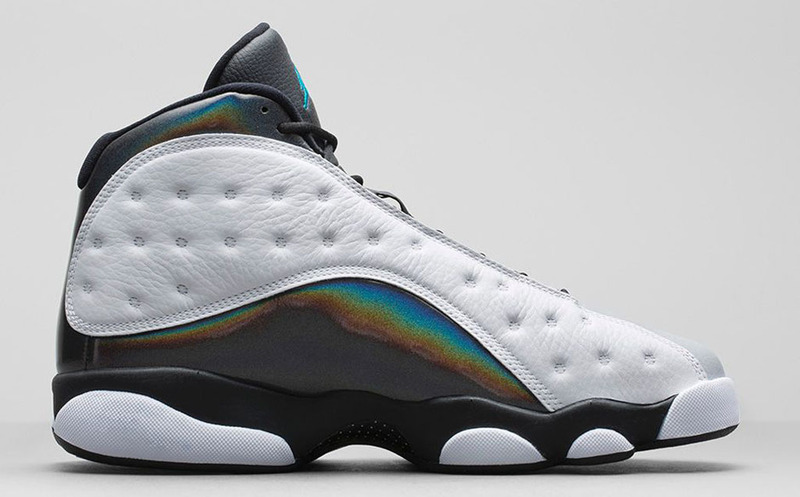 Known as the 'Barons' or 'Wolf Grey' or 'Hologram' edition. They feature a white-based leather upper with a grey toe. 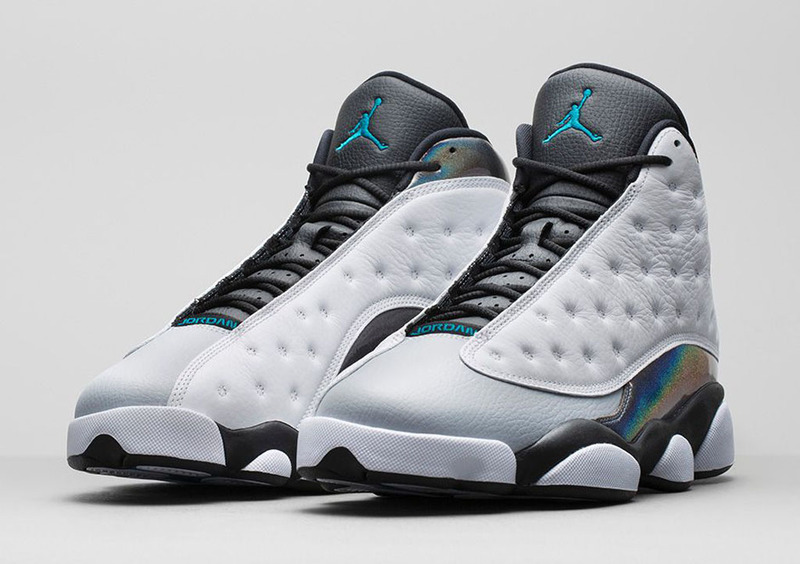 Black accents, a holographic back heel piece, a white midsole and black outsole along with a teal Jumpman logo on the tongue finish this pair off. They are a general release and will be available in full-family sizing, running down to toddler. 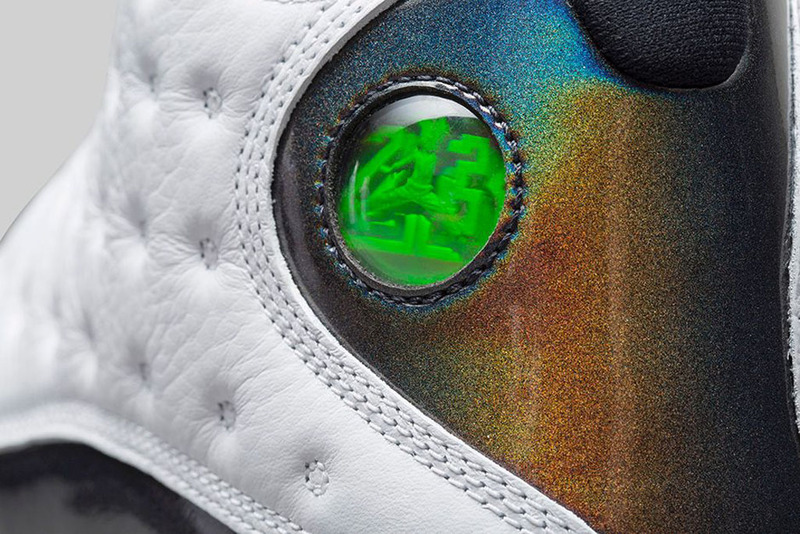 The 'Hologram' Air Jordan 13 Retro hits nike.com as well as select Jordan Brand retailers on Saturday, October 25.